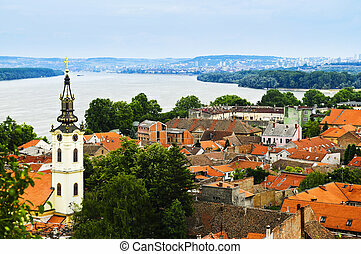 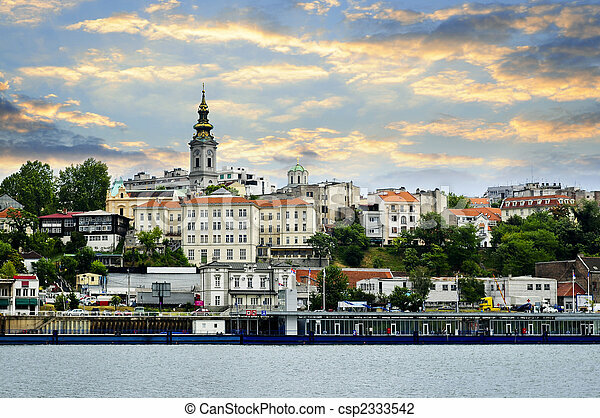 Belgrade cityscape on danube. 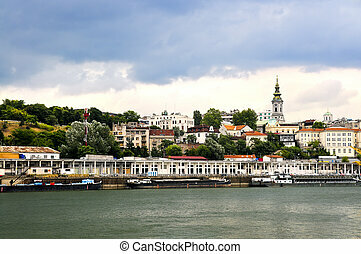 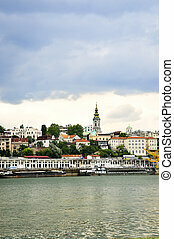 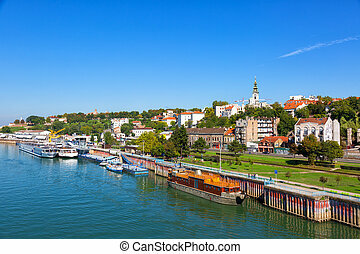 View of belgrade city from danube river. 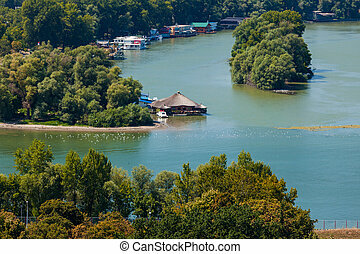 BELGRADE, SERBIA - AUG 15: Aerial view of houseboats on Ada Ciganlija on August 15, 2012 in Belgrade, Serbia. 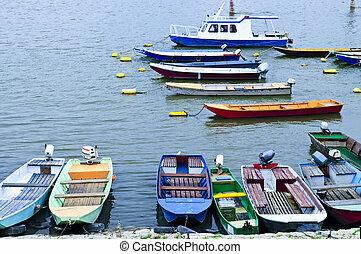 Houseboats are very popular nightlife destination. 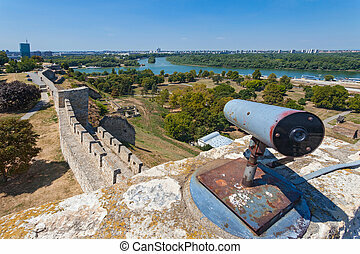 BELGRADE, SERBIA - AUG 15: Tourist binocular on walls of Belgrade fortress on August 15, 2012 in Belgrade, Serbia. 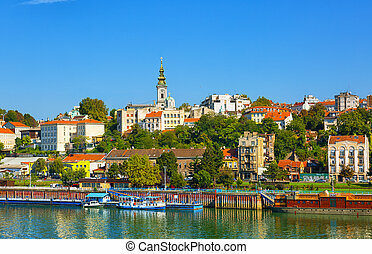 It is popular, unique museum of the history of Belgrade. 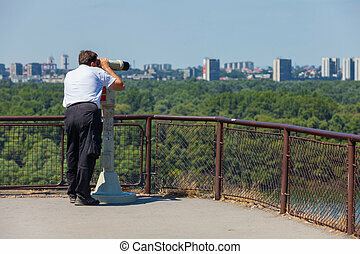 BELGRADE, SERBIA - AUG 15: Tourist using binoculars on August 15, 2012 in Belgrade, Serbia. 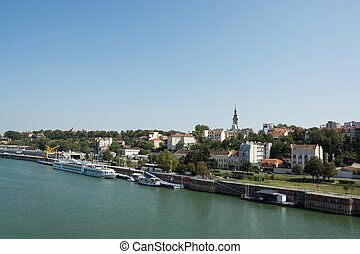 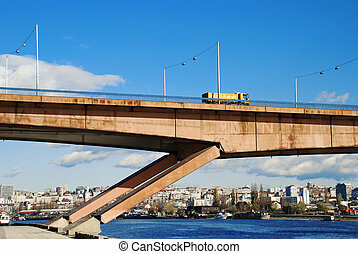 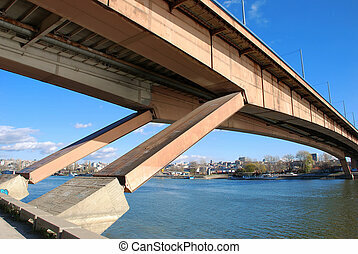 City is very popular tourist destination in summer time. 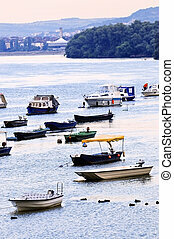 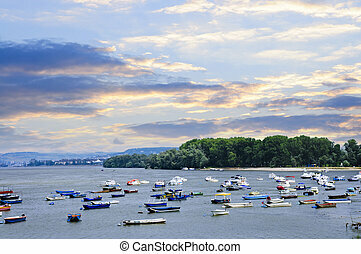 Many small fishing boats anchored on Danube river. 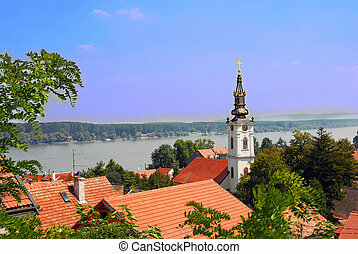 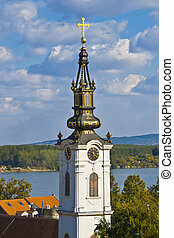 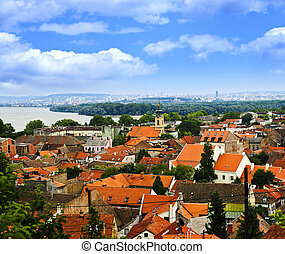 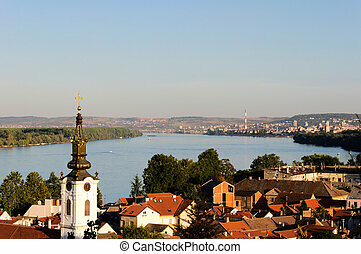 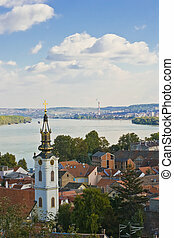 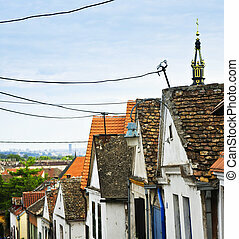 View from Zemun part of Belgrade.